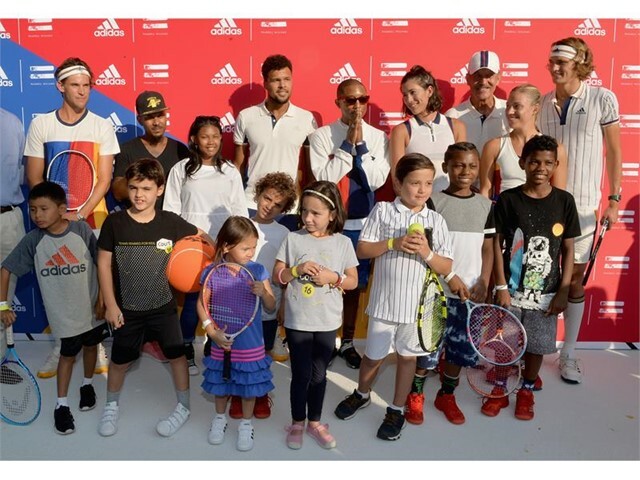 Pharrell Williams, Stan Smith and adidas sponsored tennis athletes Garbiñe Muguruza, Angelique Kerber, Sascha Zverev, Dominic Thiem and Jo-Wilfried Tsonga gathered at Frederick Johnson Community Court in Harlem, New York to host a tennis clinic with local youth organizations to kick off the launch of Quiet Please, a New York City-wide campaign inspiring individuals to make game-changing pledges. 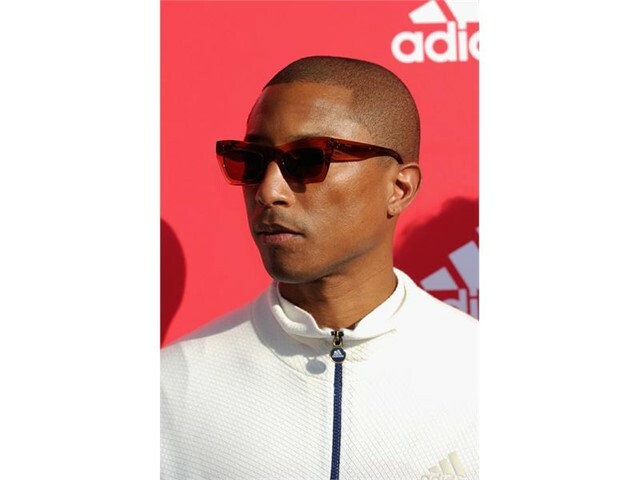 During the event, Pharrell Williams delivered a manifesto inviting New Yorkers to join him in a citywide activation encouraging all to believe in their voices and be loud in inspiring change through love. 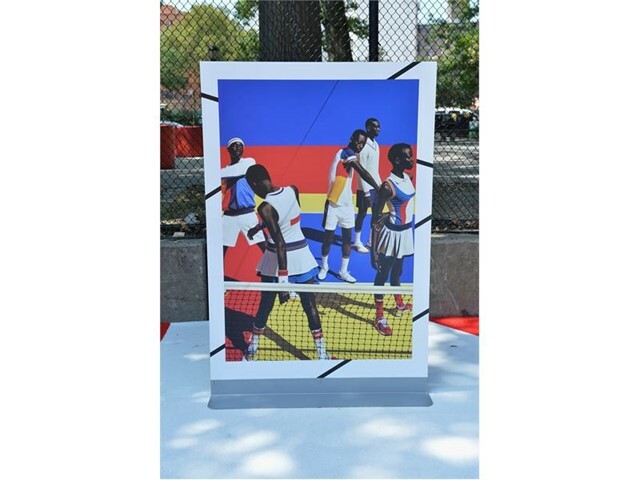 Inspired to look at tennis from a different point of view, and how sports can serve as vehicle for positivity and change, together adidas and Pharrell Williams announced a community program including the restoration of a New York City tennis court through a donation to the New York City Parks Department and children’s tennis scholarships in partnership with Court16 and Horizons. 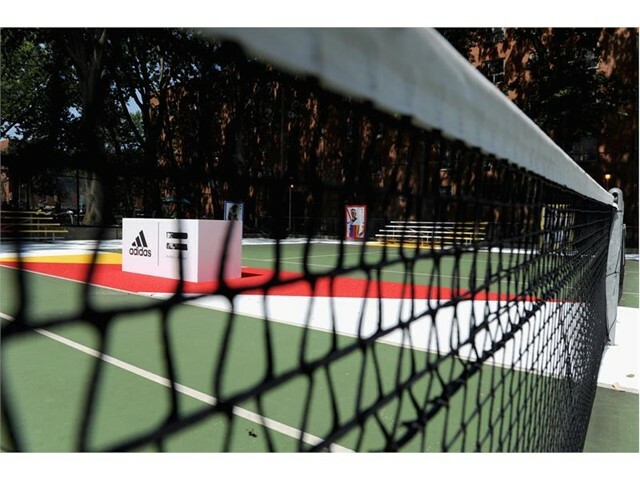 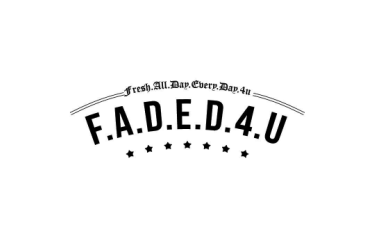 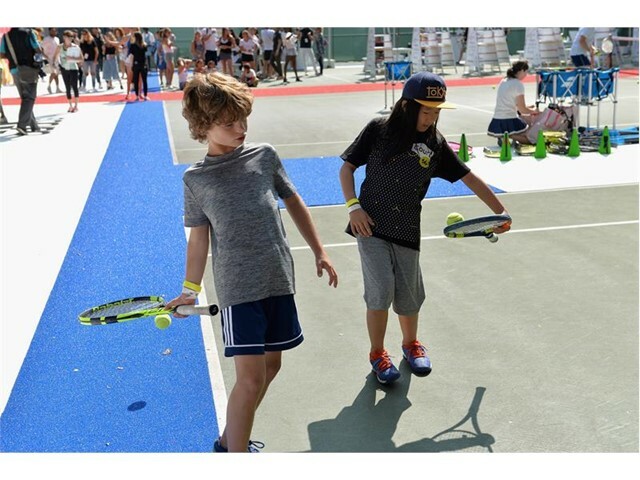 True to the spirit of Pharrell Williams, his ethos and adidas’ commitment to change lives through sport, the ambition of the community programming is to provide a platform for New York. 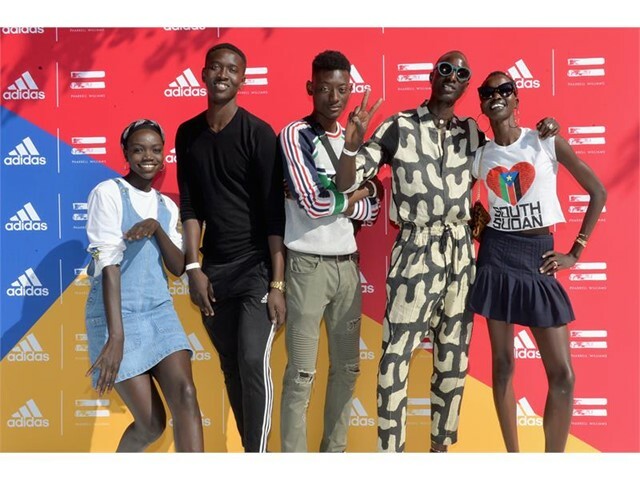 In celebration of Pharrell Williams’ manifesto, from August 28th, adidas will give New York City, its community and special guests, a platform to let their voices be heard and encourage all to be loud in inspiring change through love. 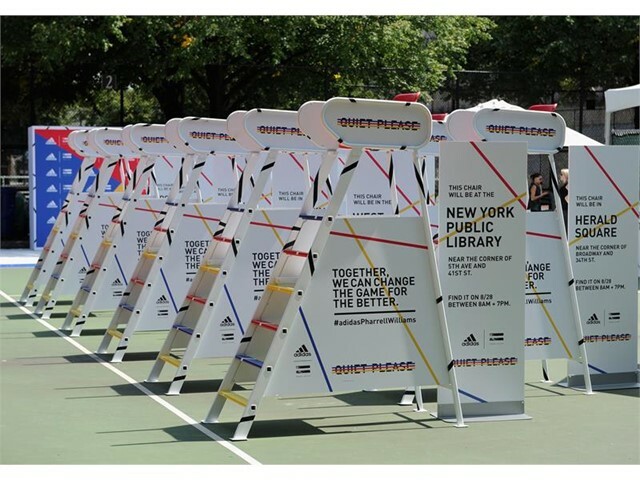 Umpire chairs become symbolic icons of the Quiet Please campaign and serve as physical stages throughout the city for people to express themselves and their love. 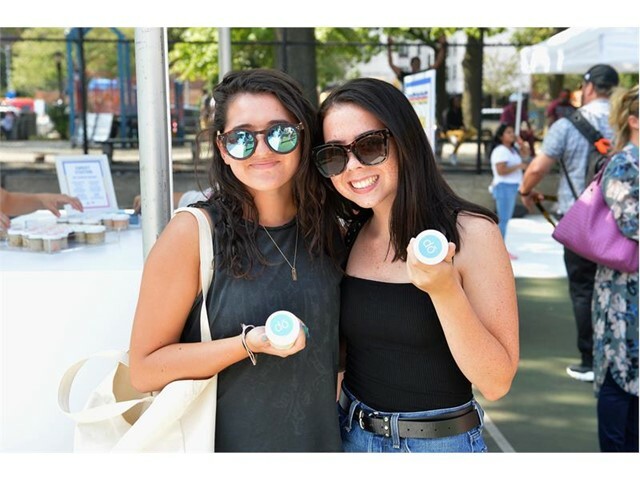 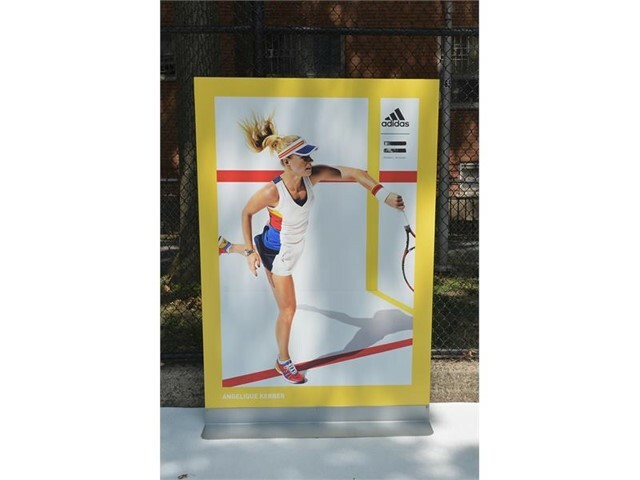 Creating a city-wide social sensation, ten umpire chairs will be stationed in the following locations: Columbus Circle, The Apollo Theater, The New York Public Library, Herald Square, Flatiron, Union Square, Astor Place, Christopher Street at Gay Street, Petrosino Square, and Atlantic Terminal. 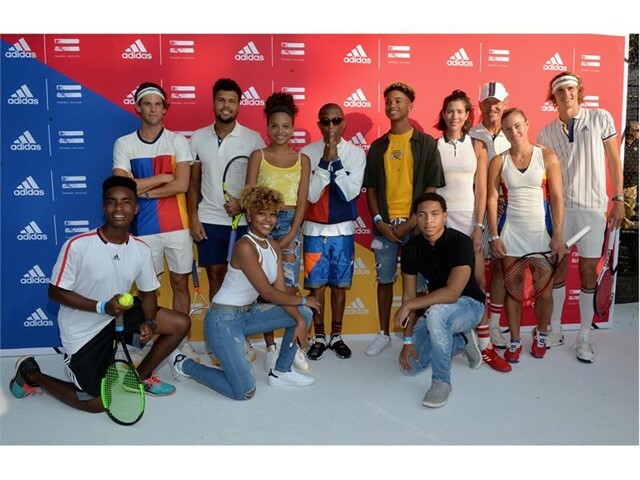 As a long time adidas collaborator, Pharrell Williams has put his stamp on tennis. 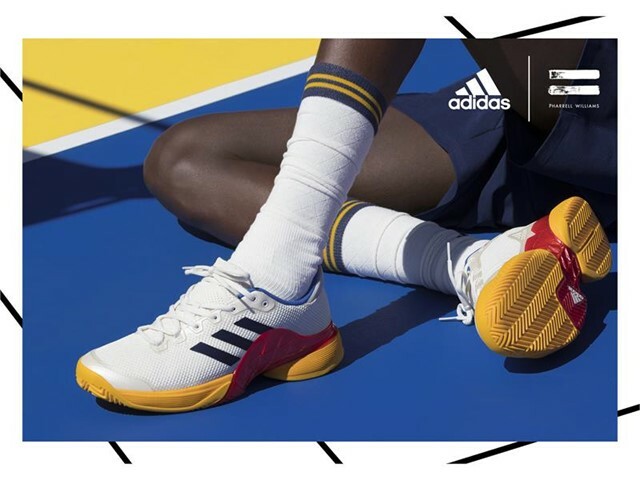 Inspired by the great tennis legends of the past, Pharrell Williams has developed his first performance collection with adidas. 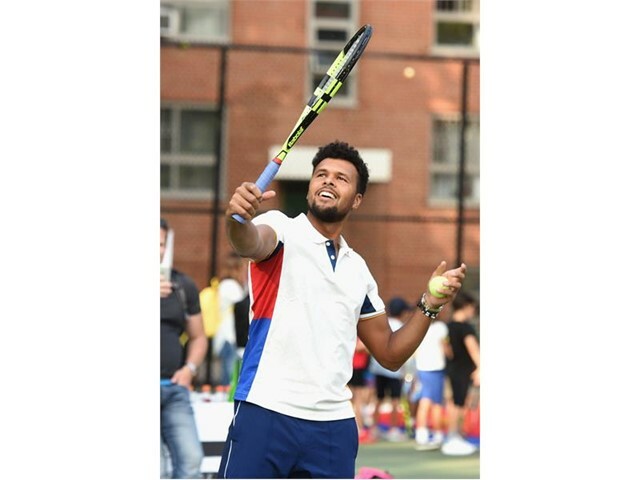 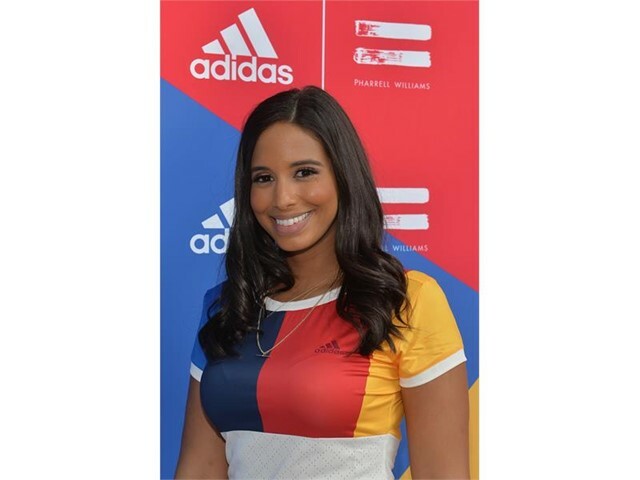 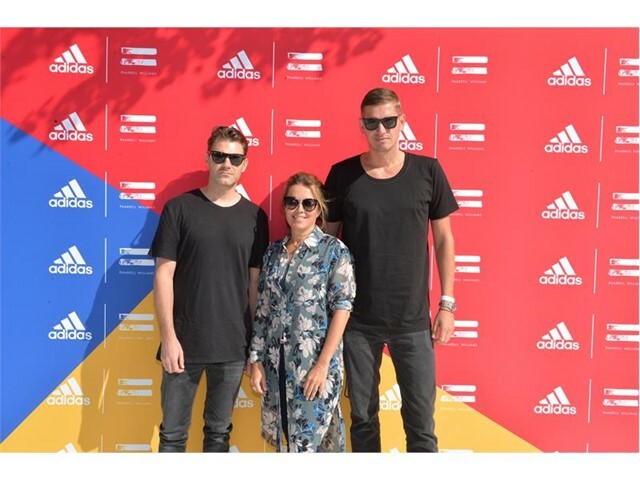 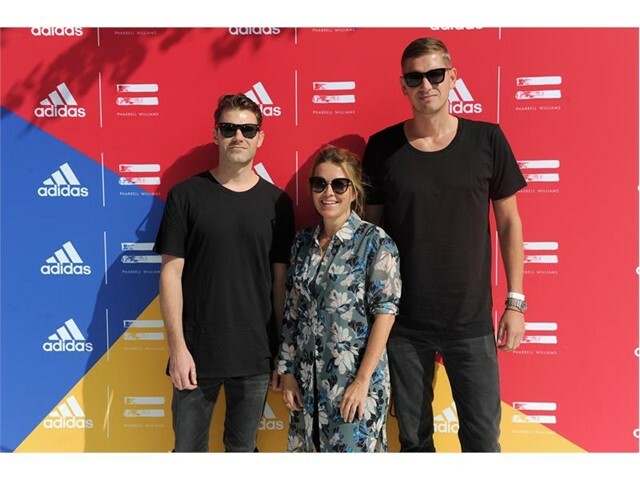 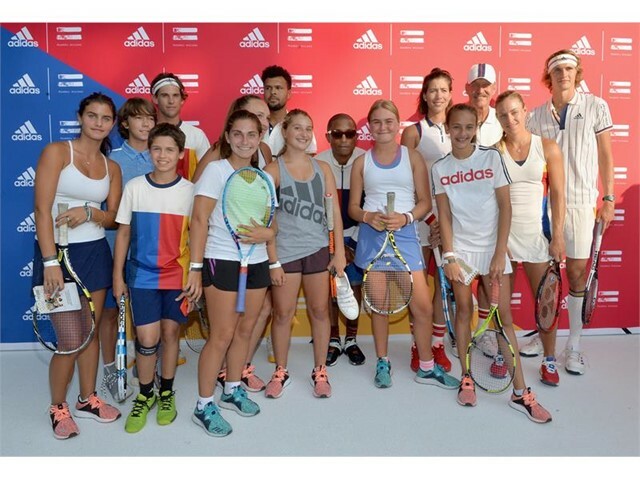 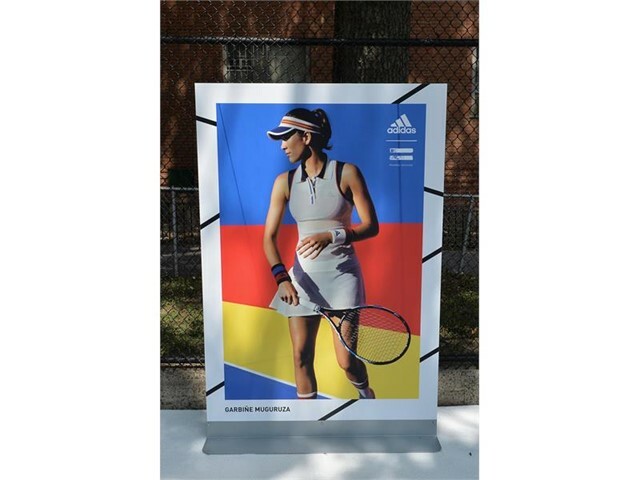 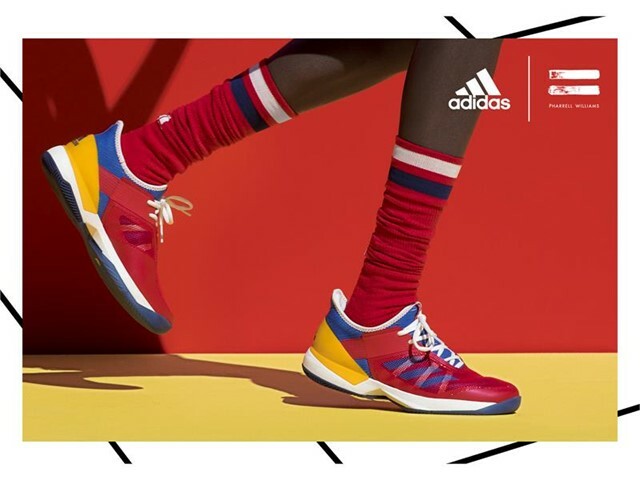 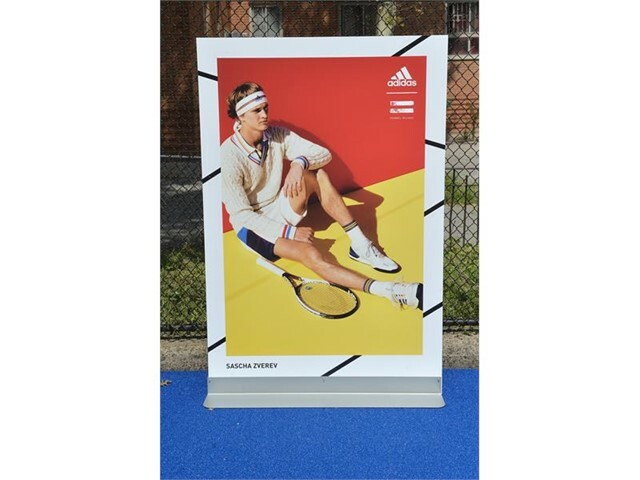 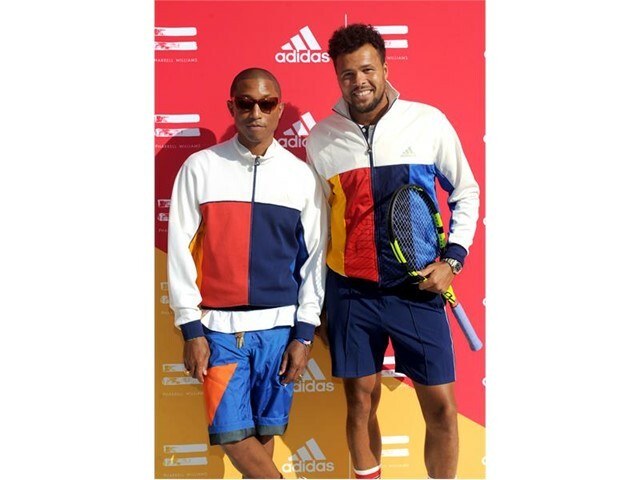 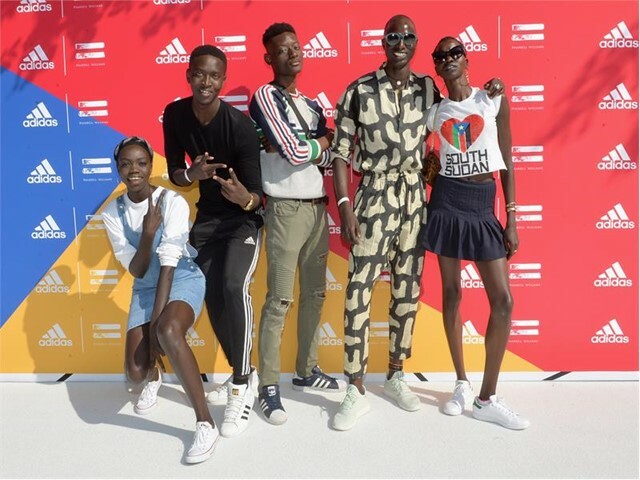 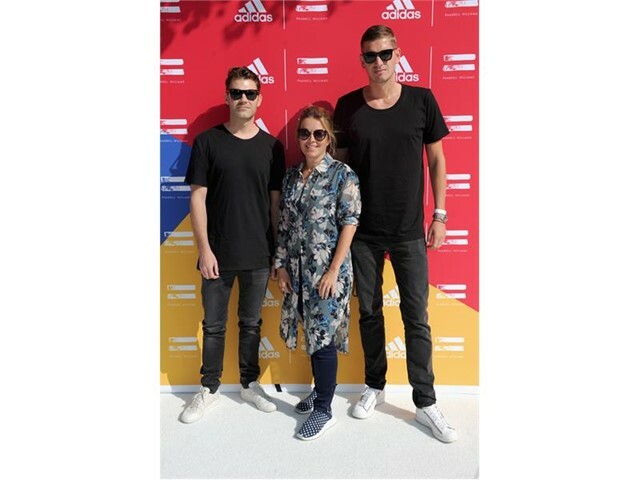 During the event Thiem, Muguruzu and Wilfired-Tsonga all wore pieces from the adidas Tennis Collection by Pharrell Williams and will also wear the collection during their upcoming tennis matches taking place in New York City. 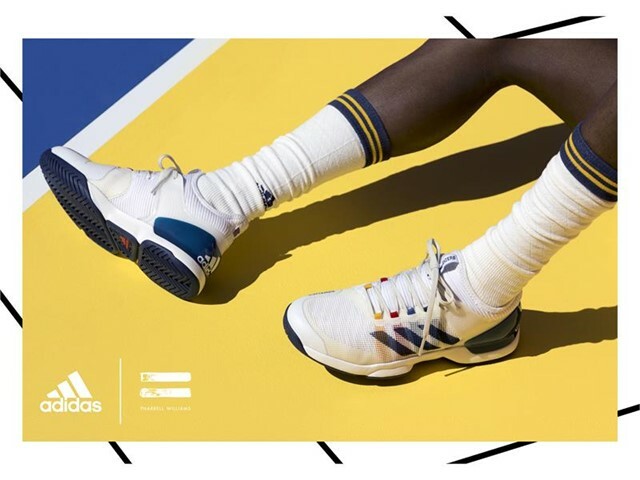 The premium collection will be available at adidas and Billionaire Boys Club flagships, adidas.com, and select retailers globally August 31st. 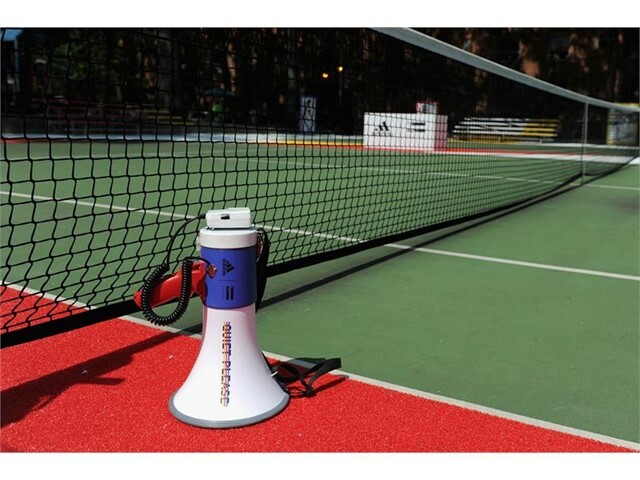 “Every tennis match starts with the same two words: ‘Quiet Please’. 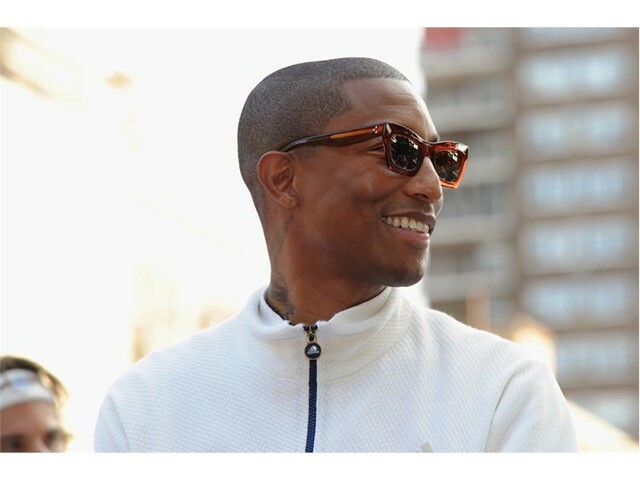 But change can be noisy and our love can transform anything. 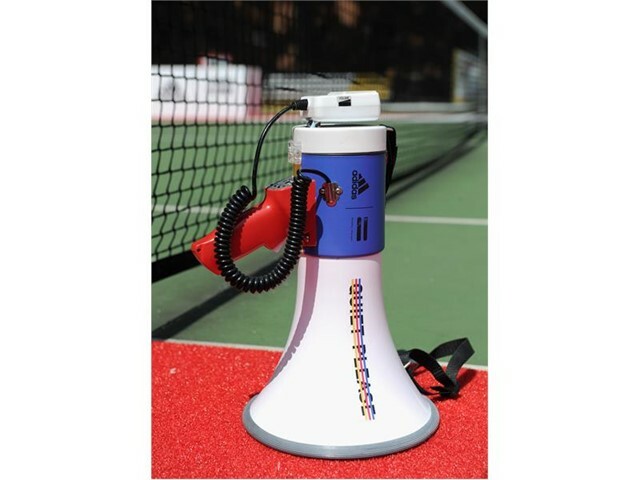 Outside the court we will let our voices be heard as loud as we can. 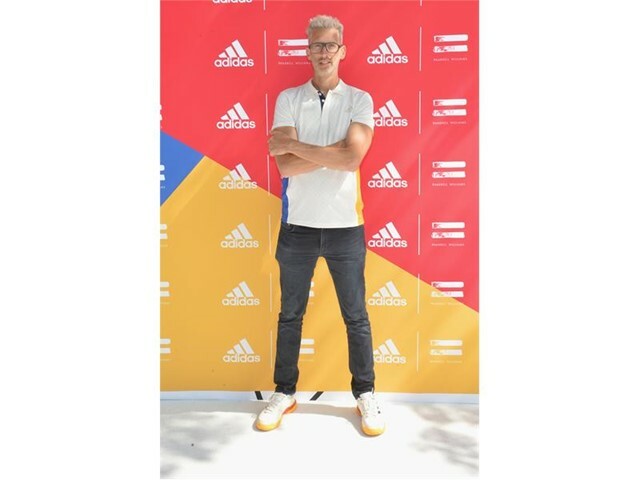 If you see the potential for good, speak up.